Document Notes: Letter notifying SAC Honolulu that Dept of Justice advises facts are not sufficient to warrant prosecution. 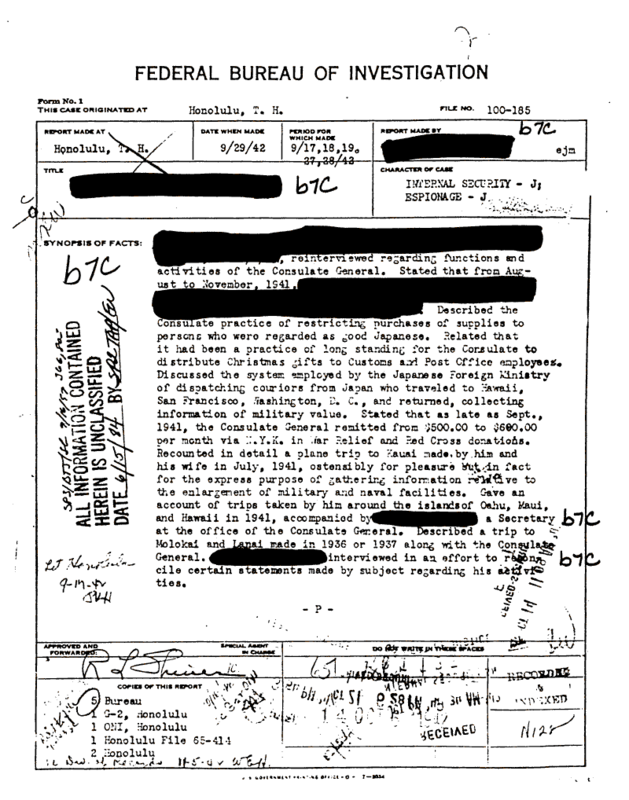 Attached investigative report on the individual details his conduct prior to Pearl Harbor. A good example how the rule of law was applied to Japanese Americans. There was a clear difference between engaging in espionage for the enemy prior to the attack and being able to show that the developed facts supported the legal definition of espionage and that it was worth the effort to engage in prosecution. In many other countries the subject would have been shot summarily if not worse, say in Japan.